Dunkin Donuts Is Releasing Donut Fries! 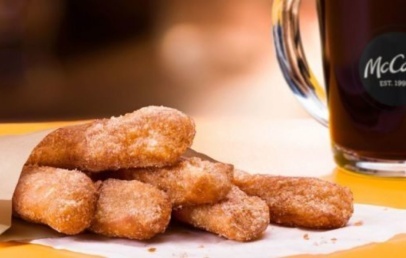 Donut Fries are heading to Dunkin Donuts this Summer! Yes y’all starting next Monday, July 2nd, there will be donut fries. Is this a shot at Burger King’s chicken fries? No probably not, but it is funny how this may be becoming a trend! Back in April Dunkin Donuts was teasing the fries at different locations around the US, but now they’ll be available everywhere. I wonder what these will taste like? I keep thinking of a churro because of their shape but I know the taste won’t be similar. What do you guys think?